I’d heard a lot of good things about Silverino albums from the German album manufacturer Silverbook, so I ordered a sample album to see for myself. I must say I was quite impressed. 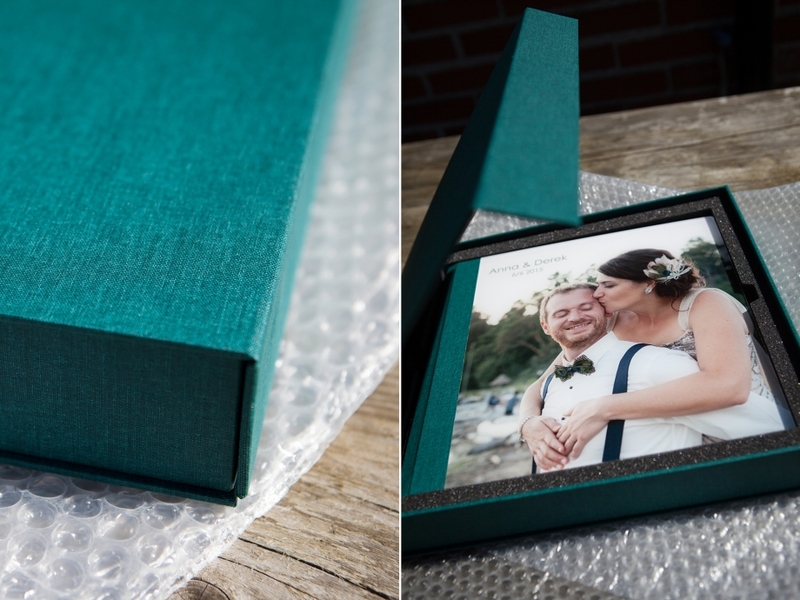 The album came in a gorgeous gift box covered in the same linen fabric as the album. The gift box also had a clever magnetic closure and a protective foam lining. I chose acrylic glass for the album cover since that’s something that none of my other suppliers offer. The result was strikingly beautiful and modern. Silverino books use Fuji digital paper, and I was curious to try the new velvet ultra-matt paper. I loved the texture of the paper. It’s so soft that I want to pet it like a cat. It’s also fantastic when it comes to capturing detail. Unfortunately I found it lacking when it comes to the really black blacks that I like. It’s definitely a matter of taste, but I’d probably be inclined to go with the traditional photo paper next time. 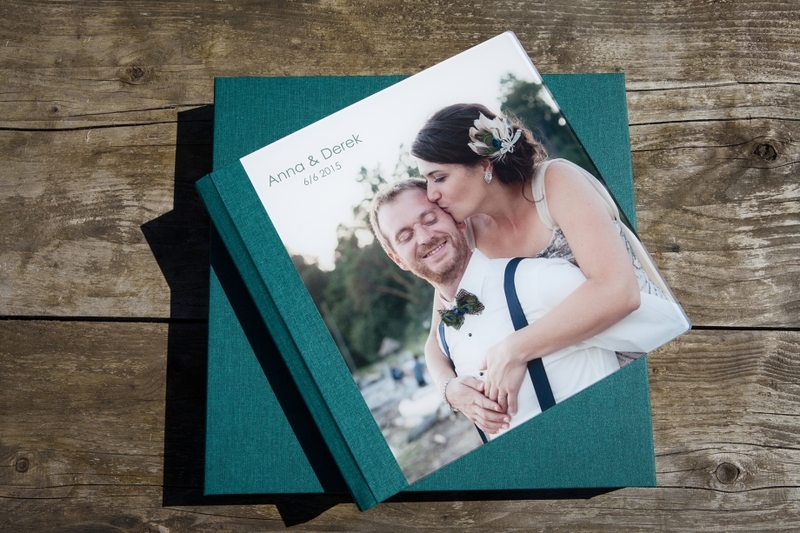 I liked that the pages were firm and sturdy but not so thick that they would make an album from a full day wedding prohibitively thick or heavy. So, what do you think? 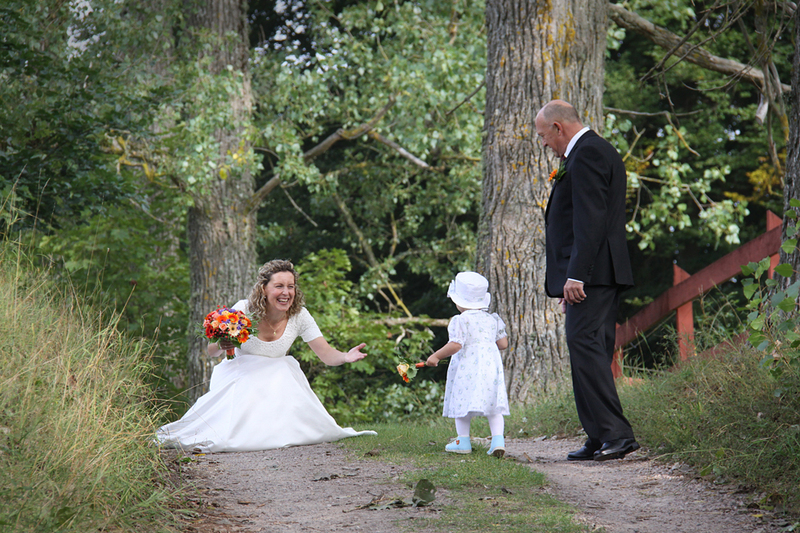 Would you want a Silverino for your wedding album?